TDP chief and Chief Minister Chandrababu Naidu is crucial to winning his own strength. 'Tactics' are written. He also believes that the surveys are also available. From time to time, he needs a 'weekly point'. Targeted on that week's point of view, he will be able to use his semi-intellectual forces to win the election. Chandrababu attempts are on the same side now. That is why the Mahanadu platform is aimed at increasing the BJP's opposition in the people by targeting Modi and Amit Shah. Jagan and Pawan are the men of the BJP, and they are planning to benefit from the next election. That is why Chandrababu and Latekes have declared their main rival and political enemy BJP. It is not necessary to be surprised if the main enemy Congress in the last election is now becoming a 'friend'. Chandrababu's friends are changing from time to time. Is it important that political needs are important? The BJP has betrayed the fact that the election of Chandrababu, I am innocent. Mosapoyanu. From the beginning I asked for a special status. Modi is not given '. On the one hand, Prime Minister Modi's videos are repeatedly trying to increase the opposition to the BJP. And in the same Chandrababu Assembly, there is nothing to do with the original special status outside the assembly. What states have earned? The BJP is not the leader of the packaging to show super videos. Chandrababu is the one who has ever been successful in using it. In the last election, he also joined the same. Opposition to the Congress during the partition of the state is at the Peak Stage in the AP. At the time Congress was in power, Chandrababu, who gave the letter in favor of the partition of the state, also cited opposition to the Congress, Besides that, Chandrababu has experience in comparison with Jagan ... People believed that the capital was washed away. The BJP was targeted because it was not given special status. Chandrababu Target Congress in the last election. This time the BJP. The sector is also preparing to put up its failures in the formation of the capital in the BJP account. And what is the date of the Chandrababu Plan to be fulfilled? Chandrababu does not have any of the things in the last election. There is no Jan Sangh and BJP in the last election. Already in politics Chandrababu has become lonely. There are all the advantages in the 2014 elections. The difference between the TP and the VSIPs is very short. Apart from campaigning to get closer to the BJP, he has nothing in power to rise against Jagan. Will people believe the Chandrababu campaign? 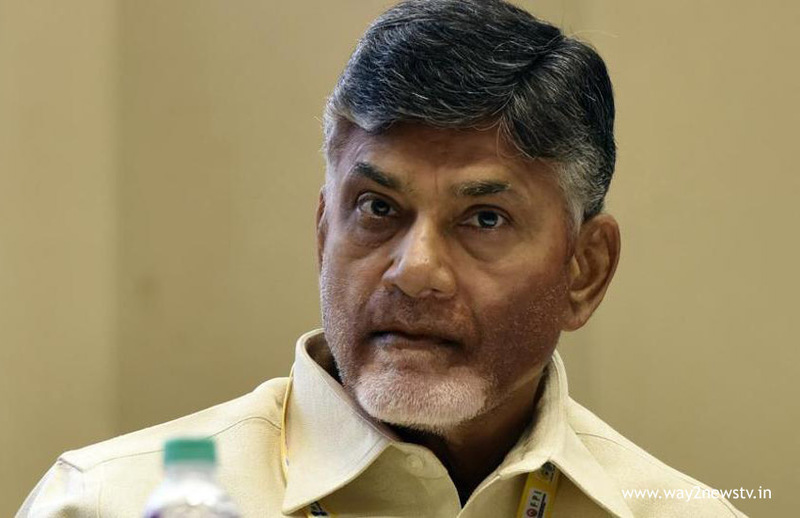 Will Chandrababu be a new Plan Workout? Wait until 2019.